Ticket sales are now underway for the Ryan's Quest in "Black & White" Semi-Formal Dinner/Dance scheduled for Saturday February 11, 2012 at The Westin in the Princeton Forrestal Village. Guests will enjoy a Land/Sea Duet Dinner, 5 Hour Open Bar, Photo Booth, Live Music (DJ and band) and Silent Auction. 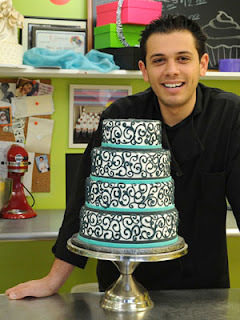 This year's event also includes an exciting contest called "Ryan's Quest Most Loved Cake of 2012." Guests, and esteemed food critics alike, will determine the winner from among the 20 entries! Vincent Buzzetta, aka "Vinny," from the reality show "Staten Island Cakes" on WE TV, will be among the judges! Tickets can be purchased online through the Ryan's Quest website at www.ryansquest.org (click on 'Upcoming Events') for $125 per person. There are a limited number of remaining tickets available. Falling close to Valentine's Day, this event is a great way to enjoy a night out on the town with somebody special! Ambient DJ Service is proud to be among a list of providers donating their services for this important cause. Net proceeds from the event will go towards finding a cure for Duchenne Muscular Dystrophy (DMD). DMD is the most common genetic disorder found in children, afflicts only boys, and currently has a 100% fatality rate. David and Maria Schultz founded Ryan's Quest in the hope of raising funds to find a cure for their son Ryan and the thousands of other boys diagnosed with Duchenne who find themselves in a race against the clock. To learn more about Ryan and the quest to save his life from Duchenne Muscular Dystrophy (DMD), click here. We hope that you can join us for this very fun evening that also benefits a wonderful cause! For those of you who cannot attend the event, please consider joining the mailing list to learn about future events or to make a donation. Thank you! Excellent blog entry, Gregg!! It is because of talented people like YOU that we can come together and create successful events to fund things like research! !